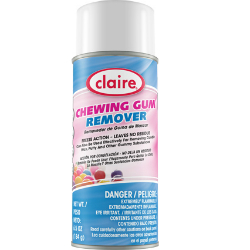 With this product it’s easy to remove chewing gum, candle wax, putty and other gummy substances from surfaces. The chewing gum remover will make the messy job quick and neat by freezing the substance to approximately – 40ºF so you can crack it off fast. 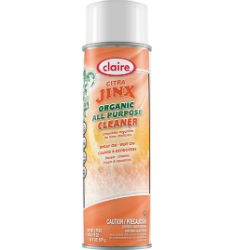 Formulated with a natural orange citrus solvent – d-Limonene – that cleans and deodorizes most surfaces. It contains no chlorinated solvents, petroleum distillates or glycol ethers. 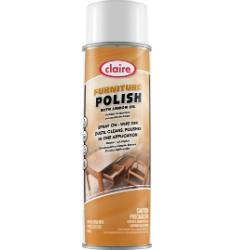 An emulsion polish formulation that dusts and cleans in one easy application. A rich blend of silicones, cleaners and lemon oil that cleans and polishes a wide variety of surfaces leaving behind a pleasant lemon fragrance and a hard, dust-free shine that lasts. Removes finger marks, smudges, grease marks and stains in one step. You may spray directly onto the surface to be cleaned or on a clean cloth for those hard to reach areas.An emulsion polish formulation that dusts and cleans in one easy application. A rich blend of silicones, cleaners and lemon oil that cleans and polishes a wide variety of surfaces leaving behind a pleasant lemon fragrance and a hard, dust-free shine that lasts. Removes finger marks, smudges, grease marks and stains in one step. You may spray directly onto the surface to be cleaned or on a clean cloth for those hard to reach areas. 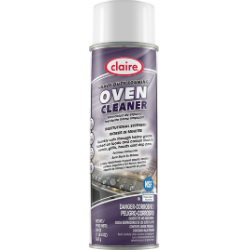 This foaming all-purpose cleaner cleans, disinfects and deodorizes in one easy step. Spray it on and wipe it off. 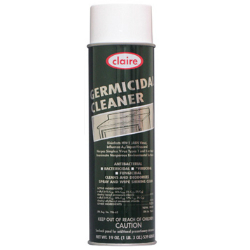 Cleans and disinfects without scouring or scratching surfaces. Kills most common kitchen germs. Will disinfect Influenza A2/Japan Virus and Herpes Simplex Virus Types 1 and 2 on hard, inanimate, nonporous environmental surfaces. This is an EPA registered product that saves time by performing two operations in one step. A high foam, heavy-duty formula that is an effective cleaner which is safe on porcelain, ceramics, stainless steel and cast iron surfaces. It quickly cuts through heavy grease, baked on foods and carbon stuck to oven grills, hoods and drip pans. The heavy-duty foam provides excellent cling time allowing the active ingredients to work deeply into thick grease build-up. 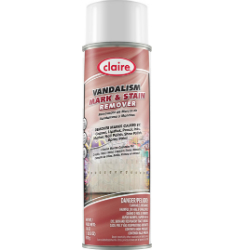 Designed to remove vandal marks from different types of surfaces. Spray directly on marked or stained surfaces, let stand 30 seconds, then wipe with clean cloth. For difficult marks, spray again, let stand for 60 seconds. Copyright © 2017. Rockwater Professional Products. All Rights Reserved.